Over the years, the term Cyber Security has gained much importance and become a common part of each one’s life who is associated with a computer or a smart phone device. When people submit their data online, it becomes vulnerable to cyber-attacks or cyber-crimes. Moreover, cyber-attacks can happen over an external facing DNS server or an internal firewall, which in turn effects the data and infrastructure within the enterprise that inherently causes significant damage to the business of the associated organization. Cyber Security offers security, from unauthorized access or exploitation, through online services to the massive data, associated appliances and network that is used for communication. Cyber Security involves protecting key information and devices from cyber threats. It is a critical part of companies that collect and maintain huge databases of customer information, social platforms where personal information are submitted and government organizations where secret, political and defense information are involved. It describes how personal and key government data is protected against vulnerable attacks that possess threat to important information, may it be on the cloud, across various applications, networks and devices. Lot of money are invested in protecting all this information in an online platform. With the number of people accessing the information online increasing each day, threats to the information are also increasing, with the cost of online crimes estimated in billions. Below is an image showing the top 20 countries with appropriate cybercrime percentage levels. Encryption: Always use SSL (Secure Socket Layer) to encrypt the data that is transmitted through the internet. Remote Connection: Use VPN to access remote systems. Firewalls: Install firewalls and pop-up blockers. Information security – Information security protects your information from unauthorized access, identity theft and protects the privacy of information and hardware that use, store and transmit data. Examples of Information security: Authorization of user and Cryptography. Network security – Network security protects the usability, integrity and safety of a network, associated components, connection and information shared over the network. When you secure a network, potential threats are identified and nullified from entering or spreading on the network. Examples of Network Security: Anti-virus and anti-spyware, using Firewall to block unauthorized access to your network and using Virtual Private Networks (VPNs) for a secure remote access. Application security – Application security protects applications from threats that occur due to the flaws in application design, development, installation, upgrade or maintenance phases. The best approach to choosing the appropriate service provider requires plenty of foresight and planning in advance. Always compare your needs with the services offered by the software provider. With various options available in the market, you can choose the right software to protect your data, application, network and the system. You can either opt for an individual service to protect a specific component or use a software that provides a complete solution for all your needs. It is also important to update your applications as and when an upgrade version of the software is available. Choosing the right service provider can provide you a variety of options to secure your data, applications, hardware and network. Involvement and coordination of the entire business organization is very much important to combat cyber-attacks and efficiently improve cyber resilience using a comprehensive cyber security program. The service provider will be able to assess your organization for your needs and respond to you in various security breaches. Core managed services include: Security Banners to authorize users, DNS Blacklists and Integrity Checks, and Access Control (Named ACLs). 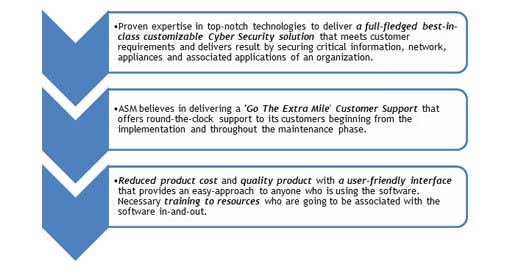 Advanced security services include: Threat Insight, DNS Protection and Firewall, and Security Ecosystem. To summarize, information is a critical part of any organization and investing on the right service provider keeps your business in safe hands in the ever-expanding IoT (Internet of Things) world. 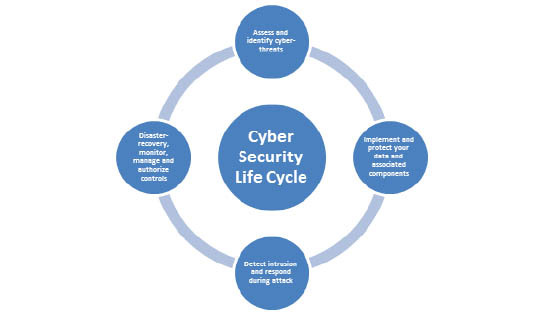 A scalable and customized cyber security-driven business model includes disaster-recovery capabilities and secures data and the underlying infrastructure of the organization, thus building a safe barrier for the information even before it is attacked and saving the organization from a loss of billions of dollars that could result from the security threat. Who’s running applications or programs from software downloaded on a physical computer or server in their building anymore? 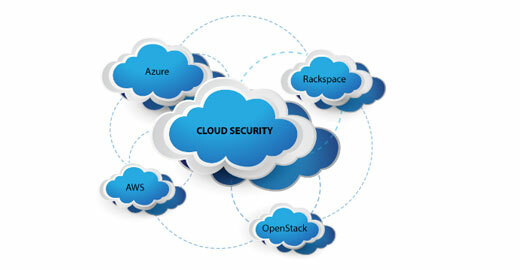 Growing trend in innovation and initiatives, major technology companies and startups are embracing Cloud strategies. 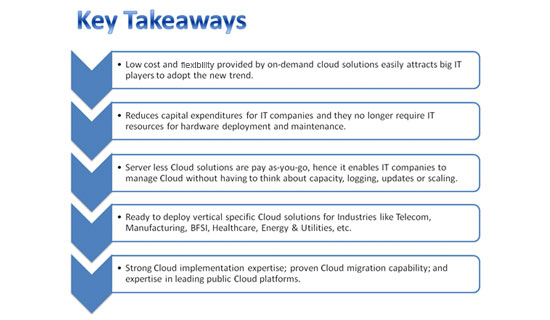 Cloud computing has emerged as a mature technology and is evolving to tackle newer challenges and business cases. Deployment of cloud computing is increasing despite multiple challenges and security threats due to numerous benefits it offers to organizations, such as business agility, collaboration, pay-as-you-go pricing models, scalability, no investments on hardware setup, and flexibility. ASM offers services for developing, documenting, and testing Cloud-based applications on leading cloud platforms including Amazon’s EC2 environment and Microsoft’s Azure platform. Cloud Experience: ASM’s unparalleled understanding of the networking domain and proven expertise combined with distinctive expertise in qualifying Cloud and Networking based products for various customers against AWS, Azure and OpenStack. Cloud Automation: Strong knowledge on automating Cloud and networking products and end-to-end deployment in the Cloud environment. Virtualization: Extensive experience in configuring and deploying various networking products into virtualization servers, such as VMware, Hyper-V, Xen, Cisco SREV, Riverbed VSP.